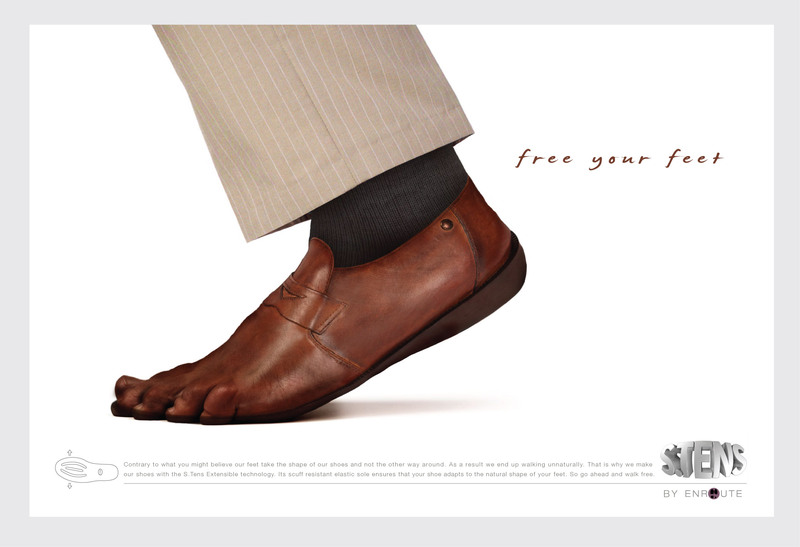 Print campaign for pure leather shoes ‘stens’ by enroute. Classic silhouette design, ample cushioning with super flexibility. Its scuff resistant elastic leather sole ensures that your shoe adapts the natural shape of your feet.